Dr. Rosenthal provides psychological and neuropsychological evaluation and treatment planning services to children and adolescents. 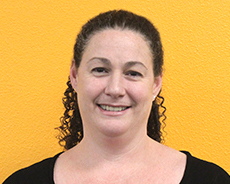 She has experience working with children and adolescents with a wide range of issues, including neurologic trauma, ADHD, learning and school challenges, mood disorders, and Autism Spectrum Disorder. She offers a therapeutic assessment approach in which she utilizes the evaluation methods to communicate the child’s strengths and to foster a sense of empowerment through self-knowledge. She believes that when children gain a better understanding of themselves, they can more readily access the tools they need to overcome challenges and develop a positive, cohesive sense of self.